This year Echo Park has been including some pretty cool embellishments with their collections, and one of those is washi tape. It's no secret that washi tape is one of my favorite products, it’s easy to use (just tear off a piece), it’s flexible, it’s self-adhesive, and it comes in plenty of beautiful colors and patterns. 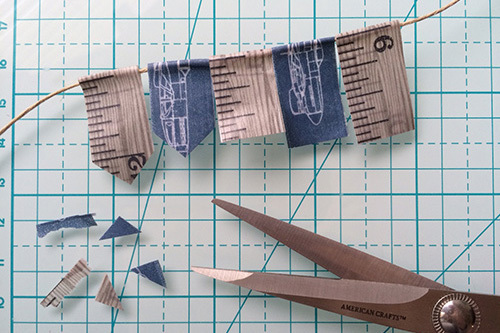 I recently shared a tutorial on how to make washi tape banners for any paper craft project. 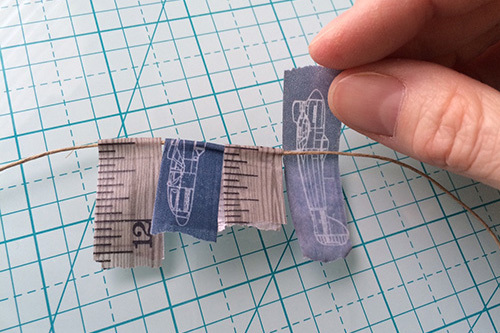 Today I'd like to share a masculine version of this DIY embellishment. 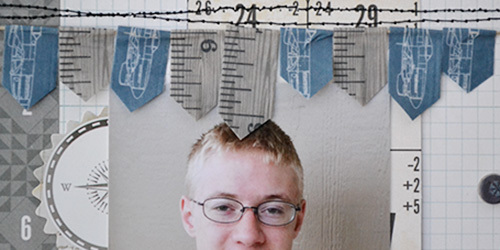 To create this washi tape banner I simply tore off several lengths of washi tape in varying sizes and colors. Then I folded them over a piece of twine. To create a more masculine look I trimmed the torn edges off and then cut a point, or crest shape in each piece instead of a "v" or banner shape. 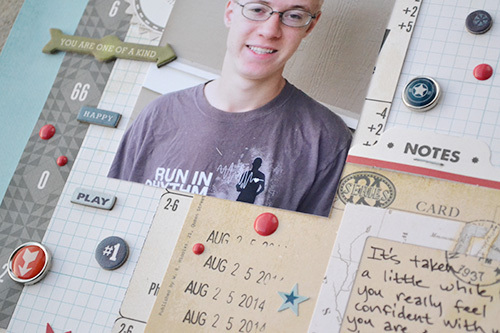 After attaching the banner, I added my photo, journaling, some ephemera, and a chipboard sticker for a title. Sticker titles are great time savers! 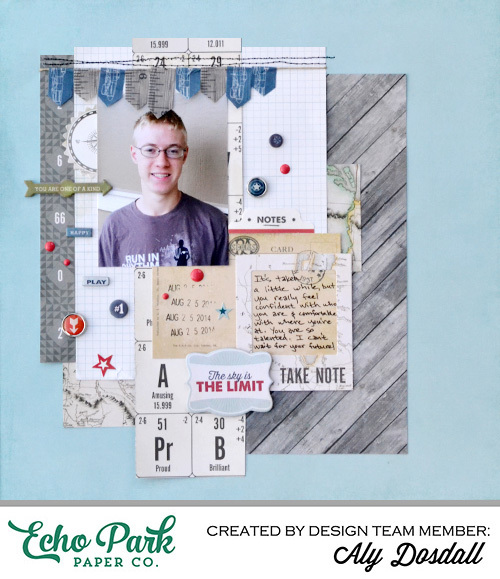 I finished off my layout with a smattering of decorative brads, enamel dots, chipboard stickers, and element stickers. I love all the fun embellishment options available. 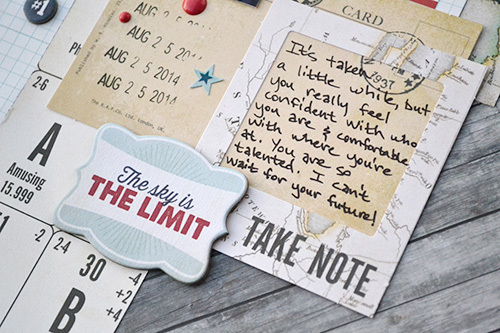 They’re the perfect finishing touches for my projects! Check out the Echo Park Paper blog HERE for a full supply list.